"My Chromecast Audio supports to stream from many apps like Spotify, Pandora, Google Play Music, Rhapsody, but it doesn't support Audible audiobooks which I listen to regularly on my Samsung Galaxy S9. Is there an alternative way to cast Audible audiobooks to my Hifi speakers with the Chromecast Audio? I am really tired with the poor audio quality of my phone." Chromecast Audio is a super exquisite gadget which can stream digital contents quickly to your smart speakers or compatible audio devices from a large list of Apps. You can control it via the Google Home app from your Android or iOS devices easily. If your app is not on the list, it doesn't mean you are totally out of luck. Here are the two best workarounds to play audiobooks on Chromecast Audio. 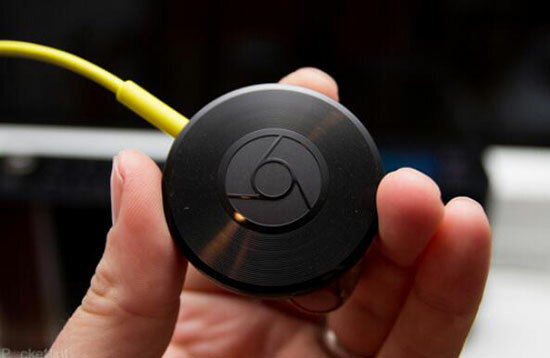 Chromecast Audio has best compatibility with Android phones and tablets. It can not only cast audio from the supported to the destination speakers, but also cast the system audio as well. This means any sound such as music, audiobooks, podcasts which are playing on your Android device will be mirrored to the speakers. So how to achieve that? Step 1. Turn on microphone permissions by tap "Apps" > "Google Play Services" > "Permissions" > find "Microphone" and slide the button on. Also, please make sure you have Android 5.0 or higher system and the phone is not running "Power Saving Mode". Step 2. Plug in Chromecast Audio into your Hifi speakers and power on it. If you are the first time to use Chromecast Audio, you need to set up it first by following the screen wizard. Step 3. Make sure your Android phone and Chromecast Audio are connected to the same Wifi network. Step 4. 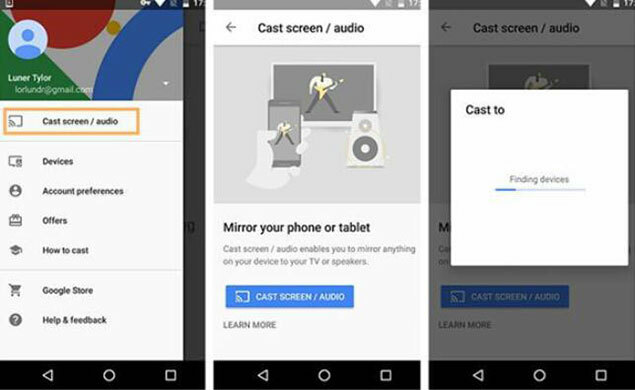 On your Android phone, open the Google Home app > click the "Cast Screen/Audio" icon > Select the destination device as your connected speakers. Step 5. Now, you can open Audible app to play the audiobook you want from your Android. The sound will be automatically cast to the destination device. Note: This method doesn't work on Mac, iOS or Windows devices yet. 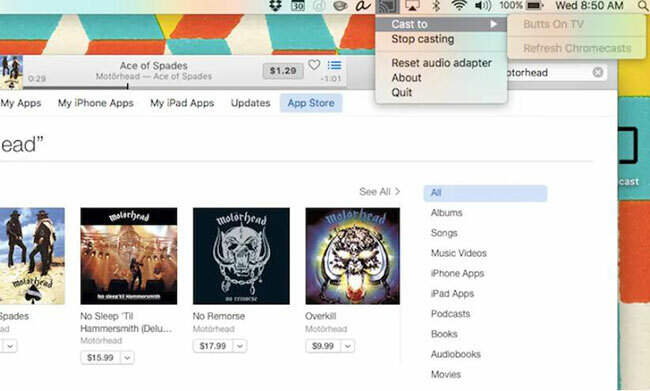 If you do want this feature, you have to install third-party plugins such as the GitHub programs Chromecast Audio Stream for Windows computer and Soundcast tool for your Mac or iOS devices. They are kind of complicated to use, so I'd rather not recommend it if you are using non-Android devices. Another way to stream Audible to Chromecast Audio is by using the Chrome browser. Unfortunately, Audible audiobooks are DRM protected with AA/AAX formats. Because of that, they are only playable on Audible app. None of the apps or players including Chrome browser will work. So does it mean you can't stream Audible audiobooks to your Chromecast Audio via computers or iOS devices? Do you have to buy an extra Android phone? Is there a better way? Well, it really makes no sense to get a new phone because it is so expensive. Just take it easy, my friends. Why not get rid of the DRM protection. It is totally legal as long as you use it for personal and it is not difficult you may have expected. 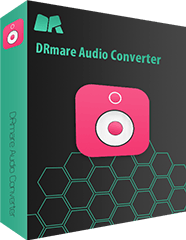 By using the Audible AA/AAX Converter for Windows/Mac from the cutting-edge media software company DRmare, it has never been easier to encode audiobooks. I am a veteran user of software, but I am still surprised on how fast it runs when I use DRmare software for the first time. Now let me show you how does it work for you. If you have already downloaded audiobooks on your local computer, you can do that together with me too. 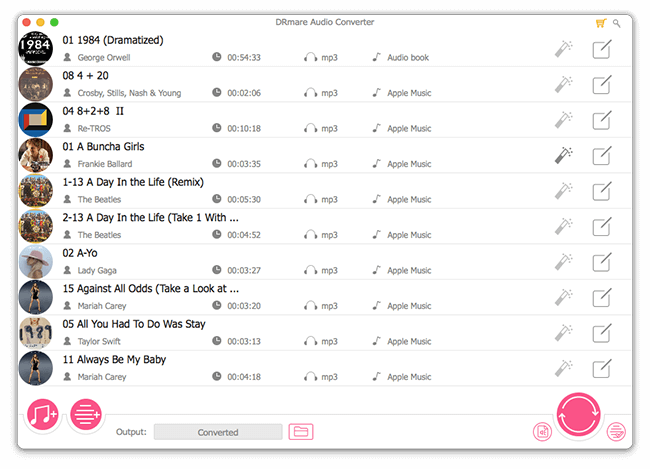 You can locate the Audible AA/AAX files from your local computer folder or iTunes, then you can drag & drop the files to the DRmare main screen. With the most advanced DRM crack technology, you don't even need to input your Audible account name and password. 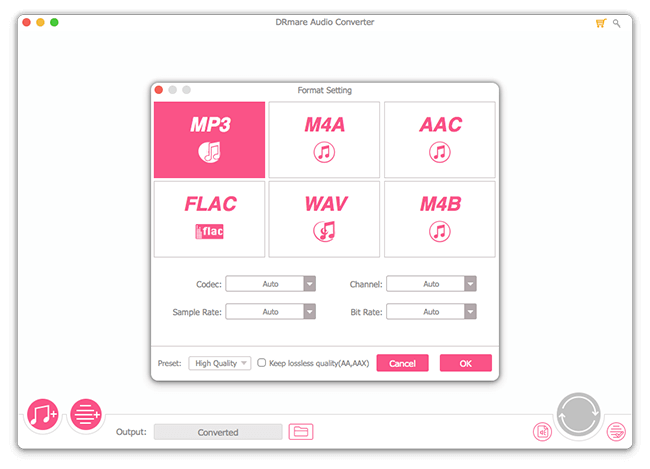 Chrome browser supports WebM, OGG, MP3, WAV audio files and so on. Please just select a compatible format you want. If you don't want to fiddle it around, you can also keep the default MP3 profile which is a universal format. Just click "Convert" button, then the DRM protection will be removed quickly. Within a few minutes, you will get the new MP3 files. After that, you can distribute the audiobooks anywhere. Note: Please use the converted files for personal only, else it may not be allowed. Now you are almost done. Please copy the converted MP3 audiobooks to your computer or sync them to iPhone, iPad or iPod Touch via iTunes. And then launch the chrome browser to play the MP3 files. From the side-bar of Chrome, please click the "Cast to" icon and select the destination speakers. That is it. To sum up, these two ways do work very well. If you have an Android phone, you don't need extra software to stream audiobooks on Chromecast audio. 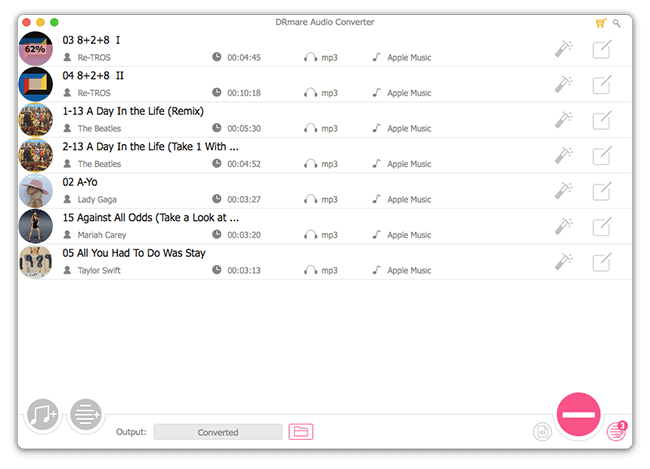 But if not, removing Audible DRM by using the DRmare audiobook converter will save you a lot of trouble. So what do you think of these two ways? Don't hesitate to share your thoughts with us on the comments below. Play Audible on Apple Watch without iPhone How to Convert iTunes M4B to MP3 Can I Play Audible Books on iPod? Solved!